The Bloowatch specialized platform was designed to facilitate your work...but how? Here are all the features of Bloowatch's management and booking system, to understand how you can increase sales at your school or center. This specialized software can help you in 3 decisive areas. First, it allows you to organize all the information about your school in one place and connects the whole team through an easy-to-use interface. The staff access to updated information from a single virtual work space. Let's take as an example that your school offers several services such as watersports, accommodation, equipment rental ... Bloowatch is responsible for matching the different agendas, keeping them always updated. Thus, the instructors of your watersports school will be able to access the system and check, in real time, the scheduled classes and the number of students enrolled, as well as the last-minute absences. While it is true that in the market there are various types of software that can help you to manage your business; without going any further, Google has tools such as Google Calendar or Google Sheets, Bloowatch is specialized in the management of watersports centers, so it focuses on solving specific problems that affect the sector. First, through its application you can easily program the activities at regular times or depending on the tides, and thus prepare the weekend agenda or the season in a few clicks. 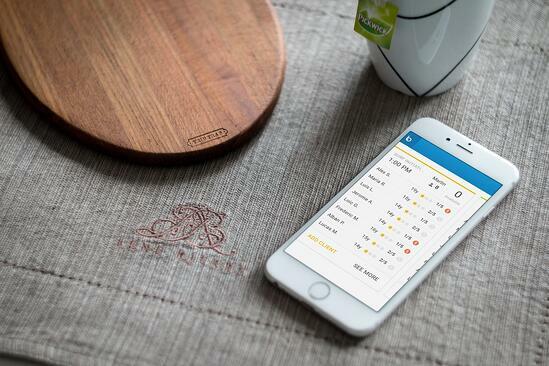 It is important to bear in mind that the weather forecasts are integrated into the application, which allows you to organize activities by minimizing last-minute surprises. Secondly, you can access the information of each class or activity with a single click. This way, you have more control over the attendees, the losses, and the status of payments. All organized in activity cards that you can print if you need it. A third advantage is that Bloowatch integrates perfectly with other services which allows you to export the payment data to the manager or the accounting system. This platform offers services that you can easily customize according to your needs. In this sense you can define your prices and discounts that will be applied automatically in the new reservations, and you can also edit the prices at any time. It is no secret that sales through e-commerce have skyrocketed in recent years and that the growth trend seems unstoppable. 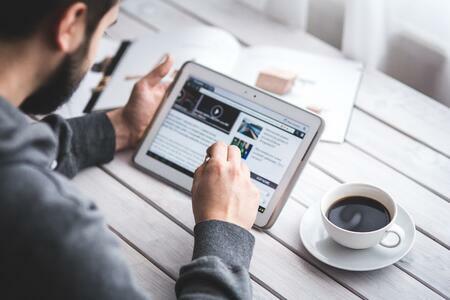 According to a study written by Forbes magazine, it is expected that sales through the Internet will grow 23% per year, especially with the millennials, digital natives, those who make the most purchases online. 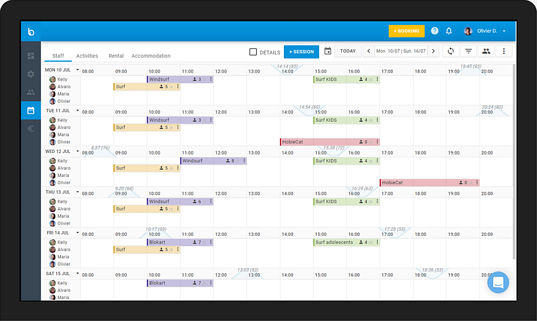 Bloowatch integrates an online booking management system. Your customers can make their reservations from your website or from your Facebook page. In short, what is involved is to facilitate the purchase to your customers who can access your catalogue, check the availability of the offer, validate and pay. Not only that, but also, they can do it from any device, either their computer or mobile phone. The more facilities you provide to your potential customers, the better their user experience and, therefore, your sales volume. We have previously commented on the importance of having all the information updated and centralized in a single space, to these advantages we must add that through the online management and booking system of Bloowatch, all the data are automatically synchronized, and both you and your customers will receive confirmation messages of all purchases transactions. To make things even easier, Bloowatch integrates several payment gateways and manages all payment processes such as multiple payments, refunds, or deposits. As we have indicated, offering an excellent experience to your clients is essential to make your nautical school grow. The personalized treatment and the communication of relevant information at the right time will differentiate you from the competition. In this post we propose 9 marketing strategies for your watersports school. How can Bloowatch help you to maintain a fruitful relationship with your potential users? Let's see. First, it allows you to segment your client file so that you can send individualized emails automatically. On the other hand, the back-office does the work for you, sending appropriate and automated emails for confirmation, collection, change or cancellation that will transmit confidence and professionalism. To conclude, let's briefly review the most important functions of the Bloowatch online booking and management system.